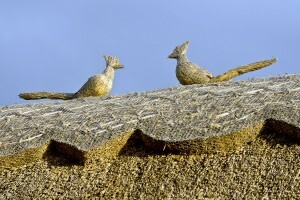 Even with a new roof, the decision of the future up-keep of your thatch roof has to be made sooner rather than later. You need to know whether you will repair or re-thatch the roof. If the thatch roof has undergone extensive repairs but continues to leak and shed, the outcome is inevitable. The roof has to be re-thatched. However, for roofs that are starting to show signs of fatigue like untidiness, reduced thickness, fixings showing and presence of substantial Moss, the answer might not be as direct. It is certain that these roofs do need work but, you will need to assess the time, the cost and the amount of work that is required to restore the roof. When was the last re-thatch? You should not confuse re-thatching with re-ridging. These are different. Also, you will need to know if your roof has ever been partially re-thatched. If it is impossible to get old invoices on the Thatcher (in case you’re buying the house) you can ask for the Thatcher that did the work so you can make any enquiries from them. If this is not available, you can check with some of the local professionals to help you shed some light on who might have done the work. Has the roof been re-ridged? Tracing a Thatcher can be made easier by considering if the roof has been re-ridged. Re-ridging is done more frequently and hence keeping tabs on the person doing it is easier. What materials have been used in your thatched roof and what is their lifespan? There are three different types of materials that are used for thatching. These are water reed, long straw and combed wheat straw. There is no certain lifespan for either of the three, however, the reed is considered to be the longest lasting and the long straw lasts the shortest. After you have collected all the vital information, making the judgement on whether to repair or re-thatch the roof should not be that hard. While doing this, the most important thing is to make sure that the material and its age are properly matched. It is possible to have a water reed thatch that is over 40 years old and has a re-ridge that was done 10 years ago or a long thatch roof that is 20 years old with a 4-year-old re-ridging. By analysing the age, you will have a better understanding of how much longer the roof will last and also better plan in the works that need to be done on the roof in future. It is unfortunate that roofs are not usually in an ideal situation. A 15-year-old roof could be having holes in it and looking older than it is while you might find another scenario of a roof with a ridge system that is 25 years old and still looks good. In such a scenario, you need to be more aware of the factors that are less tangible to be able to understand and assess the situation more accurately. There are quite a number of factors that directly affect your roof and how it ‘performs’ now and going forward as I have listed them below. The quality of the materials that have been used in the thatching. The skill of the Thatcher that worked on the roof. The pitch of the roof (A roof with a lower gradient ages faster). The decisions are taken by the Thatcher while working on the roof. The aspect of the roof (Moss tends to grow faster on roofs that are under the shade for most of the day). The location of the roof. If there are trees or shrubs overhanging the roof, moss will build up faster because of the shade provided. You need to step outside and look at your roof. You will need to assess and conclude what you think the exact problem is. You need to consider whether the damage being caused by the factors you have identified is detrimental to your roof or it is simply an aesthetic matter. While some damages might seem extreme, they might not necessitate a re-thatch. Some of these include the damages to the valley and a shedding hole that might not be bigger than your fist. However, in some cases, you need to consider the long-term effects of a repair. For instance, would it make sense to remove about 2-3mm of moss if it will be back in less than a year? It is evident that making the call on your roof is impossible before you first speak to a professional Master Thatcher who you can discuss the recommendations for the roof and the specification of such actions. It is important to remember that any call made by the Thatcher will affect the appearance of the roof and also the possibilities of it wearing in the future. 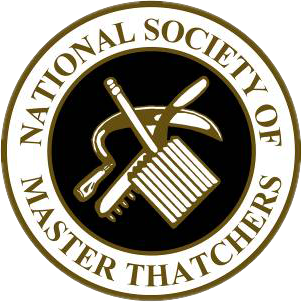 However, you need to know where to draw the line between taking a stand on these judgements and the intrinsic thatching skill of the Thatcher. You will find that in most cases, thatched properties are quite old and have been reworked a couple of times. There are those whose planning and repairs were medium and those where the work was not done in the best interest of the roof and unfortunately, you may have inherited one such case. You are not alone. The previous owner has had to make the same decisions that you will be required to make for your roof. 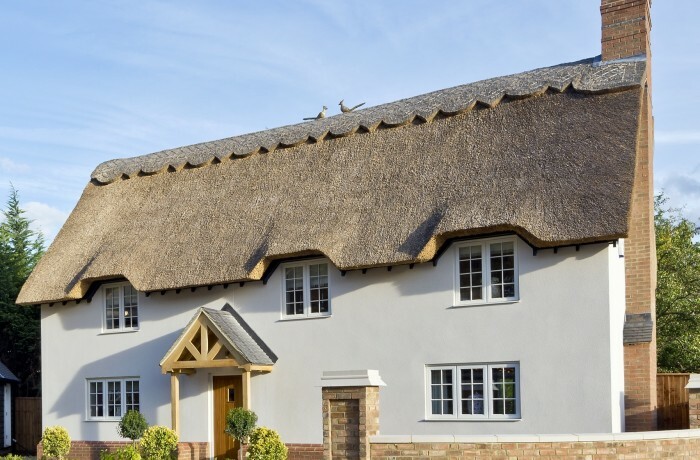 Even though quite important, the thatch on the roof is just another part of the property and based on your personal circumstances, you will be required to make some tough choices and the main factor that you will have to deal with is the cost. Whether you just want to keep the elements of weather at bay or a new thatch is a must have to fetch your property top dollar in the real estate market, a decision has to be made based on your intentions and preferences for the property.